After braces, the teeth are highly susceptible to movement/shifting as they just underwent some intense re-positioning and even though your new, beautifully straight teeth may look like they’re here to stay, your freshly positioned dental anatomy is still trying to find its way. That’s why it is imperative to wear dental retainers as directed by your dentist. These dental retainers will keep your teeth in their new desirable position while the teeth and surrounding gum tissue heals. The dental retainers will serve to protect your teeth from direct tooth-on-tooth grinding but the thin material may not be durable enough to withstand the forces of your teeth and jaw for very long. Additionally, the dental retainer will lack the jaw support you may need to get facial/jaw pain relief. If you’re a heavy grinder or jaw clencher you may find yourself replacing your dental retainers throughout the course of time that you are made to wear them. We offer a free dental retainer replacement up to one year from purchase if you wear through your retainers. Remember! Teeth can take up to one year or more to stabilize after braces. Once you have been cleared to set the retainers aside, you may find that your bruxism disorder is still in full swing. If you are grinding or clenching, you will most likely need to continue to wear an appliance that will protect your teeth (aka custom night guard). Now, a night guard is not typically worn on both teeth arches. You will need to first decide whether you should wear an upper or lower guard. If you’re wearing thin dental retainers on both the upper and lower teeth, these appliances can sometimes be worn effectively in lieu of a dental night guard. If you have finished wearing braces, keep this in mind: Your dentist worked very hard during your orthodontic treatment to make sure that not only your teeth reach optimal results but that your bite is correct. It’s important to wear upper and lower retainers to keep the bite correctly positioned. A hard night guard will act to keep the teeth in position. It must be a completely hard night guard device in order to keep the teeth from shifting. A soft night guard will be of no use in keeping the teeth in a desired position. However, it would be too thick to wear on both the upper and lower teeth (refer back to answer to first question). 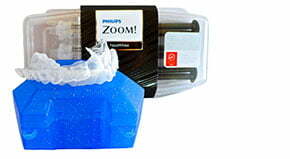 A 2mm or thicker night guard will offer the durability you may need to combat against heavy teeth grinding or clenching. Additionally, it will offer the jaw support needed to have relief from your aching jaw muscles. Night guards come in a variety of material types, thicknesses and methods of fabrication. The Sentinel Night Guard is available as a soft, hard or dual laminate (hybrid) type. The hard material will act as a teeth stabilizer and may be a wise choice if your teeth are prone to shifting. To date, there is no known cure for bruxism. Sometimes people will grind or clench severely and then stop it all together only to pick it up again several months or years down the road. Stress seems to play a big factor in teeth grinding. There are some things that can be effective in easing the intensity of the action. These include lessening or eliminating caffeine/alcohol/drug intake, and lowering stress levels. Sleep positions can also be a factor. NATHAN J. PETTIT DMD suggests Sleeping on your back is going to be the best position if you suffer from TMD or orofacial pain. Lying on your back has a number of benefits view his full article. Other suggested tips for stopping teeth grinding. Have questions about ordering your custom night guard or dental retainer set online? Most people have a few questions before ordering their custom night guard online. Here we attempt to answer the most common questions asked at Sentinel Mouthguards. The good news is: IT’S EASY and there are actually a lot of benefits to ordering direct from a dental lab that you don’t get when you go through a dental office (including saving hundreds of dollars). A: Taking your own dental impression is easy! If you don’t do it right the first time, no worries. We will send you out a redo kit for free. A: Absolutely. Night guard cost spans from $300-$1200 in a dental office. Have you ever wondered why the price range varies so widely from office to office? We’ll tell you! It’s because dentists charge what they want. Now in their defense, they do typically have a lot more overhead than a direct dental lab. But why should you pay so much for something that’s noninvasive and not terribly complicated to make? *Please note that some dental night guards require special construction and you must go through a trained dentist. For instance, if your dentist is treating TMJ or misalignment, he/she may recommend a special type of night guard that could include building up certain areas of the guard, ramps or metal clasps to move your jaw or correct your bite. In these cases you should not order online. Check with your dentist to find out which type of night guard he/she recommends. 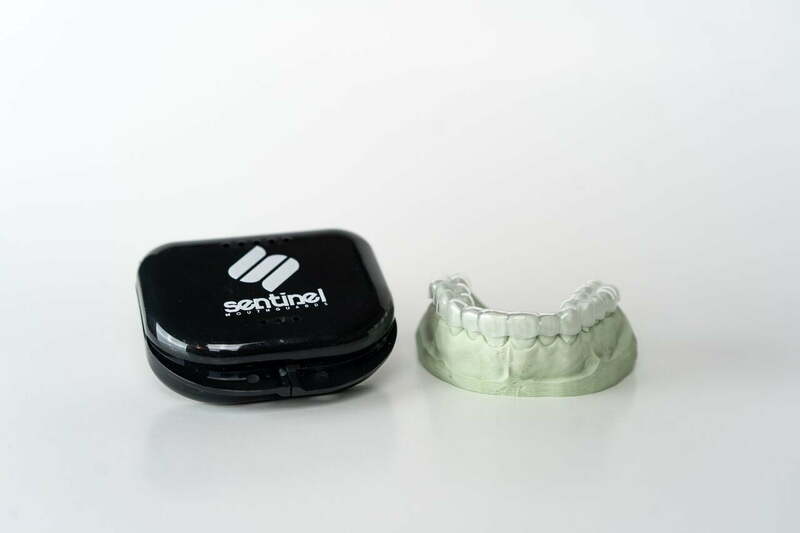 If you’re in need of a basic, premium custom made night guard for your teeth grinding and/or jaw clenching you should be well to order a night guard through our online system. If you give us a nice & accurate impression of your teeth, we will make you a great fitting custom night guard. Even then, an adjustment may still be needed (ex: my night guard feels really tight on one of my teeth). If you do need an adjustment, simply contact us to describe any issue you’re having & we will email you a prepaid shipping label. Print the return label and use to it to mail your guard back in to us. Upon receipt of your guard, we will promptly make any adjustments and send it back to you within (1) business day! Q: How do I know whether to choose an upper or lower night guard? A: Most of the time. choosing an upper or lower teeth night guard will come down to personal preference. Whether the night guard is on your upper or lower teeth it will serve the same purpose and that is to protect both teeth arches from coming in direct contact with each other. Try asking your dentist whether he/she thinks an upper or lower night guard would work best for you. Also, use common sense. If you know you have some upcoming dental work on one of your teeth arches that will change your dental anatomy, don’t take a dental impression of that arch and have a custom fit night guard made. Choose the other arch or wait until your dental work is compete before taking your dental impression. Dentists answers vary greatly when asked their opinion on upper or lower night guards. You do not need to stretch your budget to pay for a night guard from the dental office. In fact, there are quite a few perks involved when ordering though Sentinel. * We will work with you to your complete satisfaction. Even if this means you messed up your dental impression a gazillion times! We will make sure you get it right. Once you receive your night guard, if you have ANY problems with the fit we will take the necessary steps to make sure you end up with a great fitting night guard. 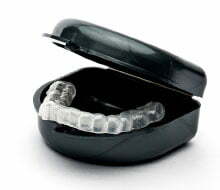 * We will replace your worn out night guard for up to 2 years from purchase date (on dual laminated and hard acrylic night guards) and up to 6 months for the soft night guard. Try to find a dentist who will do that! * We provide an online video for you to watch as well as simple written instructions. All you have to do is mix your putty in a timely manner, roll it up, place it into a plastic tray & submerge your teeth into it for 3 minutes. Check out the Sentinel how to page for more info. We appreciate you taking the time to read our latest article on dental retainers vs. night guards. Please feel free to comment and share!